This 3CD set introduces one of the most distinguished Italian film composers to the Film Score Monthly catalog. Although Piero Piccioni (1921-2004) worked primarily on Italian-made films, the two scores presented here are for films with strong Hollywood connections. Like Lalo Schifrin, Piccioni successfully combined his proclivities for jazz with solid symphonic writing in films of many diverse genres. 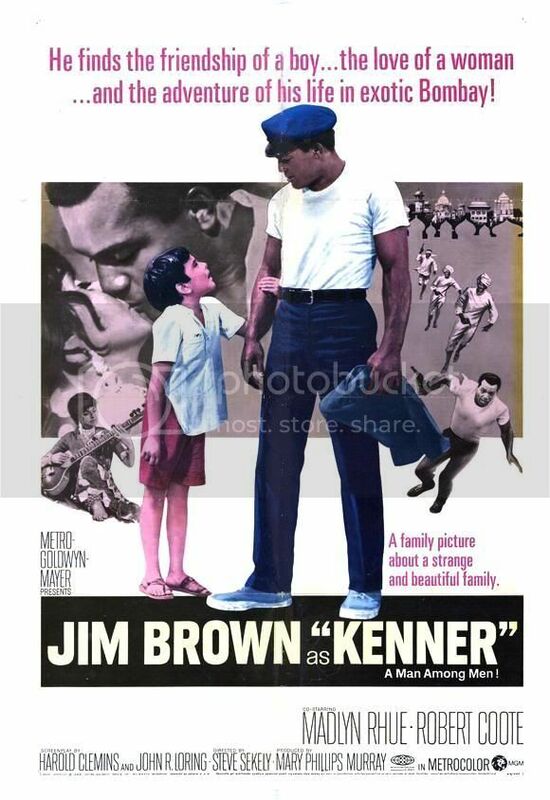 Kenner (1969) stars Jim Brown as an American expatriate in Bombay, seeking retribution for the death of a friend at the hands of a ruthless international smuggler. A mix of action-packed adventure, love story, and social commentary, the film stretched boundaries in the late ‘60s. Piccioni’s score lends the proceedings elegance, charm and emotion. The principal theme—a love theme—is subtly nuanced and richly orchestrated in the classic Hollywood tradition. Several dramatic action cues reflect Piccioni’s total familiarity with more contemporary, jazz-based sonorities. More Than a Miracle (1967) is a fantasy-fable (with Cinderella-like elements) featuring some of the strongest star power then on the screen: Sophia Loren and Omar Sharif. Set in Renaissance Italy, the film pairs a handsome Spanish prince with a feisty Italian peasant girl in a tale that involves the traditional fairy tale quest, witches, curses and even a flying, miracle-working monk, all under the eye of famed Italian director, Francesco Rosi. Piccioni’s delightful, evocative score leaves no (musical) stone unturned in delineating the diverse strands of the film. His theme for the prince is as masculine and charismatic as the character himself, while the exquisitely beautiful love theme (which doubles as a popular song in the “Overture”) is a delight in the best tradition of Henry Mancini. There are also evocative themes for the saintly flying monk, the witches, the Spanish soldiers and all the pomp and shenanigans of the royal household. FSM’s comprehensive production of More Than a Miracle includes the original MGM LP album, the complete score as heard in the film, and nearly an hour’s worth of alternate and unused cues—all lovingly restored by producer Claudio Fuiano from the original stereo recordings made in Rome. Kenner is also presented complete and in stereo, with alternates included in a bonus section. The 28-page booklet, designed by Joe Sikoryak, features track lists, film stills, composer portraits, publicity art work and a message from the set’s producer, as well as a perceptive essay on Piccioni and his work by John Bender. An online track-by-track analysis of both scores is available here—absolutely free. Piero Piccioni was an extraordinary and unique film music voice. With over 80 CDs of his music already available, FSM is pleased to add his name to its growing roster of unforgettable film composers. What a great news! Awesome music by Mr. Piccioni. Thanks FSM! Piero Piccioni is the guy to do it with! More Than a Miracle is one of my holy grails -- have loved the score since I was a kid. Thank you! Now back to budgeting to make room for this. Nice to see a new addition to the composer roster. I liked Piccioni's music on Digitmovies for Steve Reeves' "Son of Spartacus". Watch the clip between 1:48 and 2:20 for a good laugh! I don't know "Kenner", but I can tell everyone that "More Than A Miracle" is a piece of HEAVEN!!!! Found the LP in a cutout bin in the 1970s....took a chance listening one night and was thoroughly enthralled. The MGM LP recording was bright and the scoring was sweeping and melodic. The Prince Rodrigo theme is one of those glorious compositions that never fails to amaze me no matter how often I hear it! Thanks, FSM, for this extraordinary gift. With Sophia Loren starring, Carlo Ponti producing, Francesco Rosi directing, and Piero Piccioni composing, how is it that "More Than a Miracle" comes to us from France? I saw "Kenner" on the CBS Late Night Movie in the early 1970s, and it doesn't seem to have been available much since. There's no video release that I can find. "Kenner" was filmed in Bombay, India, and was the last U.S. release for director Steve Sekely, whose prior film was the cult horror classic "The Day of the Triffids." Kudos to Lukas' excellent initiative. I haven't heard a lot of Piccioni's work, but I have LIGHT AT THE EDGE OF THE WORLD and really love it. The clips from these films sound terrific, and as soon as I can rationalize the $34.95 (as in, AFTER tax day) I will undoubtedly shell out for this one. Really great to see a release from a talented European composer (besides Delerue) coming from FSM. A tip of the hat to the eminent Mr. Kendall for another surprise release!